London WM Is On Mission To Get You Slim Down For Good! London Weight Management uses 100% all natural plant essences, ingredients that are essential in losing weight for good and not having to suffer from any side effects. You’ll be guaranteed a loss of 4~16cm or more after each treatment. It's swift, safe and effective way and you’ll be able to see those pounds shed off permanently. Customers need not take medication, administer jabs, exercise nor starve in order to lose weight. In a short period of time, weight loss is possible; the best results can be attained. Lose the excess weight fast by getting rid of those stubborn fat cells followed by firming and toning to maintain a well-defined figure. 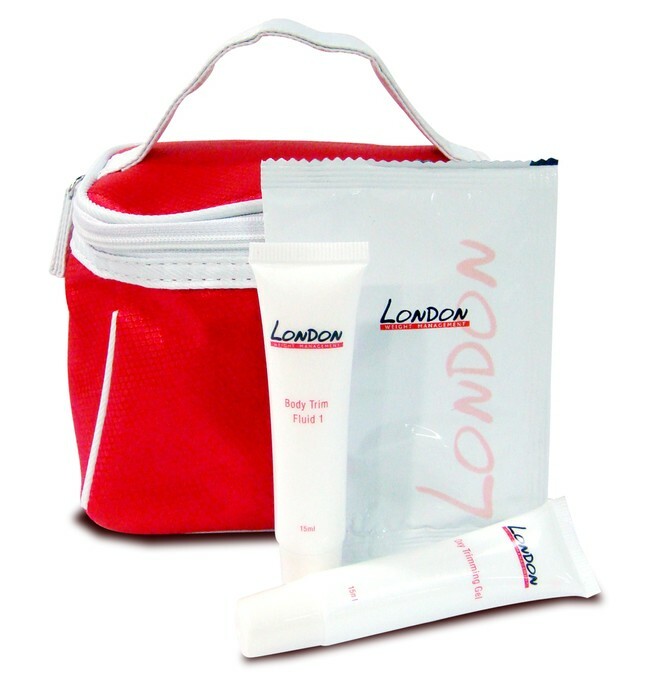 You’ll be exuberating with confidence as soon as you try London Weight Management. During the weight loss period, the weight management experts will keep a close watch on the progress and development of their customers, guaranteeing that they achieve their desired results in the shortest time possible. "During pregnancy I had a huge appetite which turned my body from a small figure to a BIG SIZE woman. I used to wear clothes with XS size, but when I became fat, I could only wear loose clothing. Colleagues laughed at me, calling me "Fatty! Fatty!" I felt very sad. 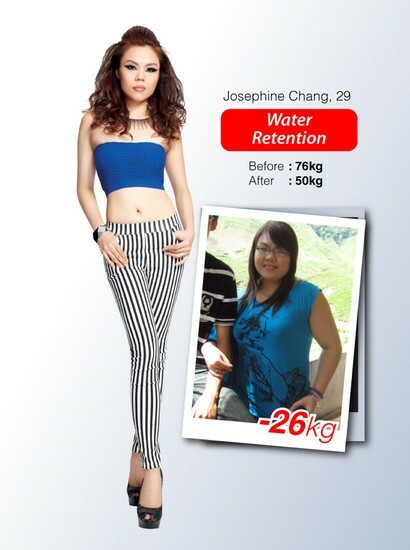 To regain the slim figure, I decided to try London Weight Management! After only a few months of professional treatment, I reduced 19 kg. Not only can I wear those old, mini size clothing, my husband loved me even more! The most important is that my colleagues do not call me "Fatty" anymore! " "At school, I weighed up to 60kg. I also have a great appetite and I could finish an entire cheese cake on my own. My boyfriend accepted my fat appearance and he even accompanied me to eat. Finally, my weight shot up to 70kg and health conditions began to appear. Just then, my boyfriend proposed to me. In order to wear beautiful wedding gowns and also for the sake of my health, I was determined to slim down with the encouragement of my boyfriend! Under the care and of London's experts, I successfully lost 20kg! Relatives and friends praised I look very pretty when they saw my wedding photos. I can’t be happier! " "At an early age, I was prone to weight issues due to a hormonal condition. After the delivery of my first child, my weight sky-rocketed to 86kg, and the doctor advised me to loss the excess weight. I tried exercising, but the overbearing weight gave me leg problems and breathing difficulties. Coupled with my top heavy frame and thin legs, doing household chores was a nightmare! When I rested, it was impossible to get up. With my husband’s encouragement, I was inspired to lose weight again. So, I signed up with London and in only 10 months of treatment I lost 27 kg. My body’s healthy and I get to dress up in gorgeous clothes. I’m overjoyed and feel fabulous!" AND NOW, WITH RM28, YOU CAN BURN YOUR FAT FOR 12 HOURS! 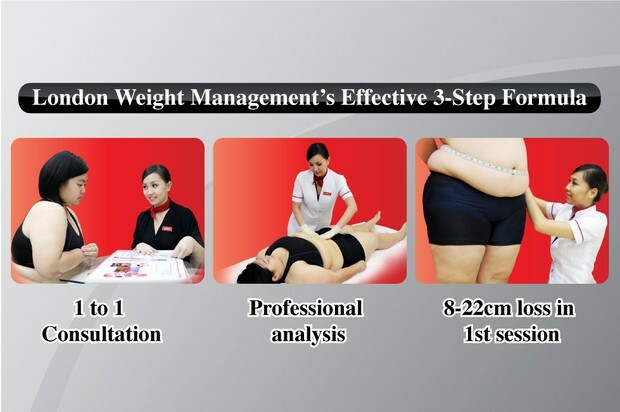 [GUARANTEED FREE] HERE'S THE FIRST 3 HOURS SLIMMING TREATMENT FOR YOU!